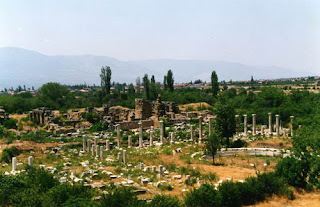 İzmir Province in the border town of Selcuk of the founding of the ancient city of Ephesus BC Year 6000 to be known as the Neolithic Period in Cilalı up to the Stone Period. In recent years, research and excavations around the burial mound of Ephesus (the date before the settlement hill) and hilltop castle in the Bronze Age and Hittite Ayasuluk placements were for. The name of the city of the Hittites Date Apasas'tır. BC In 1050 immigrants from Greece to live in the port city of Ephesus, BC Temple of Artemis, was moved around in 560 years. Today, Ephesus is visited, BC by Alexander the Great's generals from Lysimakhos Was founded in 300 years. 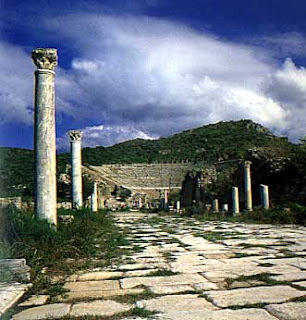 Hellenistic and Roman age living in the most glorious periods Ephesus, Asia, the state capital and largest port city of 200,000 people as the population had. Ephesus, Byzantine Era changed again and the first time, was established places Ayasuluk Hill in Selçuk has come to. Taken by the Turks in 1330 and is supposed Aydınoğulları'nın Ayasuluk, 16th century from increasingly began to shrink, the Turkish Republic in 1923 after the organization took the name of Selcuk, and today has a population of 30,000 is a place for tourism. Which is one of the world's most important center of ancient Ephesus, BC Civilization until the outgoing 4.bine history, science, culture and art in the field has always played an important role. East and West (Asia and Europe) between the main gate is an important port city of Ephesus was. This position of the most important era of Ephesus as the development of political and trade center in Asia and the Roman era to be the capital of the state has provided. However, its importance in ancient times only to Ephesus as a center of trade and capital growth is not beholden to occur. 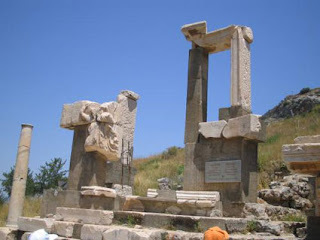 Anatolia's oldest anatanrıça (Kybele) based on the tradition of the great temple of Artemis cult Efes'de takes place. This temple is one of the seven wonders of the world are considered. Has changed many times throughout history where ruins of Ephesus a wide spread area. Spread to an area of approximately 8 km ² in the ruins of-excavations and restoration work arrangements have been made for the part that is open to visitors. As an important center of civilization in ancient times an average of 1.5 million people in Ephesus today's visit is an important tourism center. British Museum on behalf of the first archaeological excavations in Ephesus JT Was started in 1869 by Wood. This study aimed to find Wood in the famous Temple of Artemis, after the year 1904 DG Hogarth continued. Today, working as the first excavations in Ephesus of the Austrians in 1895 was initiated by Otto Benndorf. Archaeological Institute of Austria 1st and 2 During World War interrupted the work has continued uninterrupted since 1954. Ephesus, as well as the work of the Institute of Archeology in Austria since 1954 the Turkish Efes Museum Ministry of Culture on behalf of the excavation, restoration and editing work. More than 100 years is a long ongoing work with this on the one hand, the date of Ephesus and the Anatolian archeology gained new dimensions of scientific results are obtained, on the other hand, the results of excavations reveal the important buildings and monuments have been restored to raise and with the environment is organized. 1 - Çukuriçi Höyüğü: Magnesia gate is located in the southwest. According to the findings obtained from BC 4. From prehistoric settlements to go until the bin was removed. 2 - Excavation of Ayasuluk Hill: Castle in the south-eastern slopes are underway. The findings obtained in the BC-ray In the year 3500 is. T.C. On behalf of the Ministry of Culture in Ephesus of archaeological research, regulation, control and protection work is responsible for the Ephesus Museum, Ephesus and in the vicinity of Mike, Archaic, Classical, Hellenistic, Roman, Byzantine, Seljuk and Ottoman era to the important works of art, as well as cultural activities and visitors capacity is also one of Turkey's most important museums. After the first archaeological excavations in Ephesus in 1929 founded the warehouse functions, expanded in 1964 with the construction of a new chapter in the Ephesus Museum after the exhibition changes and continuously developed new attachments. An ancient city of Ephesus Museum's works of the exhibit primarily due to the museum instead of a chronological and merchandising tipolojik place according to the findings of work has been exhibited to be preferred. Accordingly, tobacco and Home Buluntuları Hall Hillside House, Coins and the Treasury Department, Graves Buluntuları Hall, the Hall of Artemis, the emperor was held as Kült Salon. In addition to this hall into a museum and garden in the middle of the various architectural and decorative sculpture garden, and in line with the works are exhibited. Two large statues of Artemis, Eros head, Yunus with Eros statuette, head of Socrates, Ephesus Museum are some of the world known famous works. Efes Museum collection are in the works currently, about 50,000. This number continues each year as a result of the archaeological excavations revealed the work or the environment through public donations to art and museum collections are becoming rich. This works for a short time in the service of science and humanity of the world to submit ideas in the Ephesus Museum "New Buluntular Hall" was created. However, the rooms do not always feel, in other rooms of the new findings show that in the light and modern museology should be renewed as appropriate. In accordance with this understanding of Hillside House & Home Shop in Buluntuları groups together a new exhibit organized by the findings is intended to establish the integrity issues. Shop daily life in each age people in the essential requirements that medical and cosmetic instruments, jewelry, weights, illumination tools, music and fun finds and weaving tools examples of domestic cult and decorations used in the statue runs into your pocket, the emperor and god sculptures, busts and furniture are on display. In a section of the room from Ephesus Terrace House "Socrates Room" a room known as the frescoes, mosaics and decorations of furniture in a variety of models with photo-düzenlenmiştir. 1 - Arasta and Bath Department: Museum adjacent to the middle of the garden, a museum created in the integrity of the old Turkish town life and get lost in the trade tend to live in a variety of handicrafts are exhibited. Dependent on agriculture played a significant role in local life, the grain milling system (mills) and different types of development; gözboncuğu construction of copper and the Turkish tent section of the exhibition in the old Turkish building and the 16th century have been restored for the exhibition of Ottoman baths in the area were assessed. 2 - Ayasuluk Library: Ephesus Museum in the back streets of an old Turkish building (14th century) was restored by the museum and the neighborhood people can read daily newspapers or books and given a small library functions. 3 - Visually Handicapped Museum: Efes antique shop one of the restoration of the Agora is converted into a museum to see engelilerin travel. This section consists of two copies and original works are exhibited in the museum. Conference of Ephesus and the environment as main issues discussed archeology conferences are held constant. Exhibitions: Efes Museum art gallery in statues and pictures of various contemporary art as works of art are displayed continuously, so the link between ancient and contemporary art works and 21 are provided century, a contemporary art collection that can be transferred is made. Seminars: Efes Museum each year by the protection of relics, especially the children of Ephesus and the ancient civilization of training seminars for the Ministry of Culture held from time to time, all Turkey museum training courses for museum professionals and the excavation results, meetings are held. Efes is also örenyerinde permanent exhibitions. • Down in agoras "How established Ancient Cities" exhibition are available. Damascus in 1375 by architect Ali Aydınoğullarından Isa Bey is built into the mosque, has an important place in Turkish art history. It was built by Byzantine Emperor United Iustinianus. Be one of the greatest buildings of the period, the six-domed church in the center, bottom, Hz. Christ's favorite disciple St. Jean's grave was found. There are treasures in the north building and vaftizhane. The castle is closed to visitors in the glass and are water cisterns. 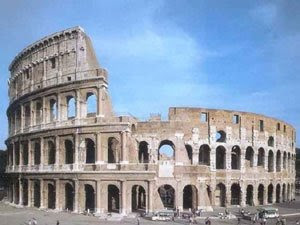 Is one of the seven wonders of the world. Ancient world's first temple was built of marble. Size, 105 x 50 m. and other frontline Artemis (Mother goddess) temple facing west is like. Was brought into the church of the Byzantine Period in the grave where, from the late Roman emperor, persecution of pagans by the time of Decius seven Christian youth who escaped the cave of refuge on the slopes of the mountain is Panayır. Christ's mother Mary, after Jesus died St. Jean came to Ephesus, and with the last years of life lived here. Is the east gate of the walls around you Efe. Besides the gymnasion, Rome is Çağının school. Was built by Emperor Augustus, the official meeting place and the stock market transactions. Is closed in on the time of construction for the city council meetings and concerts were given. It has a capacity of 1400 persons. The city, the city symbolizing the immortality of the fire is burning no chops. Shop around, as the gods and the emperor was a statue. Museums here have the statue of Artemis, and then was brought to the museum. Buildings next to the city's official guest was leaving. To the south of the Square, on the terrace was built by Emperor Domitianus a temple on behalf of the people of Ephesus and the gallery has inscriptions in Ephesus. In the East, and possibly the hospital structure, Pollio Fountain, Monument is located in the north Memnius on the street. This is done at the end of the Roman period doors have made pathway Kuretler the street. Forces of God because of the front is named Herakles relief. Street is one of the two-storey monument. Gold stands in the middle pillar of the Emperor Trainus'un statue symbolizes the sphere to the world. Have been built on terraces in multi-storey house in the city's wealthy lived. Mosaics in the floor of the house, walls are frescoes and marble plates. Romans are the most important social structure. Cold, warm and hot parts are available. Has been repaired in the Byzantine Era. The public toilet in the middle of the pool structure, but also is used as a meeting place. Emperor Hadrianus name, was built as a memorial temple. Korinth and friezes in regular institutions of Ephesus which is the legend. It is a monumental tomb for his sister Kleopatra'nın. The name of the legendary founder of Ephesus Androklos is a fountain structure. The front part was changed in the Byzantine Period. Both the library and has undertaken as a grave monument. The book rolls, structures within, were stored in niches in the wall. Front between 1970-1980 has been restored. Library ago, the Emperor Augustus was built on time. Ranging from street theater to the Library Square. 110 x 110 m. open mid-size, is surrounded by shops, portikler environment. The city was the commercial and cultural center. 24,000 people capacity, the largest theater in the ancient world. Very ornate and three-storey stage building was completely destroyed. Seating steps are three sections. Would provide the link to the port city of Ephesus. 600 m. length on the street in the city's monuments were made Christianity Period. Both schools have the greatest structures and functions and baths part of the yard is open. Thespian here to order the restoration of the marble pieces were. The large structure is the end of a group of Harbor Street. A section was excavated. Hz. It is the first church was built on behalf of Mary. Parking in the eastern part of the part of the Byzantine palace and the street has been restored. Stadium, sports games and competitions in the ancient era of the place. Age also was made in the late Roman gladiator games. Stadium next to the bath-school gymnasion is complex.